Three bone fragments found on a South Pacific island could help prove that famed aviator Amelia Earhart died as a castaway after failing in her quest to circumnavigate the globe. Researchers told The Associated Press on Friday that the University of Oklahoma hopes to extract DNA from bones found by a Delaware group dedicated to the recovery of the historic aircraft. The fragments were recovered earlier this year on an uninhabited island about 1,800 miles south of Hawaii. 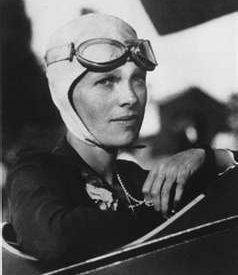 Earhart and her navigator were nearing the end of their round-the-world trip 73 years ago when they vanished in the South Pacific. Researchers say crews found other items near the bone fragments, which could also be from a turtle. The university says it doesn’t know when the DNA tests will be completed.